The offer is valid every Monday from 8 April 2019 till 3 Feb 2020. Offer is capped at the first 590 customers every Monday on a first-come-first-served basis. Only applicable for spending on LAZADA's App only. Enter the promo code at the checkout to enjoy the offer. Get the deal.. Please always check with the merchant on the validity of the promotion before purchase. Offer is capped at the first 660 customers every Monday on a first-come-first-served basis. Offer is only applicable for spending on LAZADA's App only. The offer is valid every Monday from 8 April 2019 till 3 Feb 2020. Enter the promo code at the checkout to enjoy the offer. Get the deal.. Please always check with the merchant on the validity of the promotion before purchase. This offer expires on 30th April 2019. Maximum discount capped at RM20. Enter the promo code at the checkout to enjoy the offer. Get the deal.. Please always check with the merchant on the validity of the promotion before purchase. Lazada offers 5% cash back on the amount topped up on The Lazada Wallet using Mastercard for existing customers. This offer expires on 15th May 2019. Valid for the first 1000 Mastercard Holders who top-up their Lazada Wallet using a Mastercard card (registered and saved with Lazada) every Tuesday during the Promotion Period (“Eligible Customers”). Capped at RM15. Get the deal.. Please always check with the merchant on the validity of the promotion before purchase. 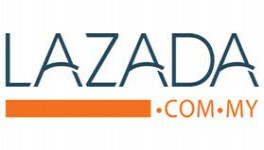 Lazada offers 15% cashback on Lazada Wallet when topped up using a Mastercard that is registered and saved on Lazada for the first time. Capped at RM20. This offer expires on 15th May 2019. Valid for the first 1,000 Mastercard Holders who top-up their Lazada Wallet using a Mastercard card (registered and saved with Lazada for the first time) every Tuesday during the Promotion Period (“Eligible Customers”). Get the deal.. Please always check with the merchant on the validity of the promotion before purchase. Lazada offers 12% off capped at RM20 New to Lazada Shoppers with CIMB. The promotion is ongoing. Get the deal to enjoy the offer.. Please always check with the merchant on the validity of the promotion before purchase. This offer runs from 21st March to 29th May 2019. Enjoy deals on kids stuff, electronics, health and beauty deals and many more incredible deals. Get the deal.. Please always check with the merchant on the validity of the promotion before purchase. This offer runs from 15-26th April 2019. Get the deal.. Please always check with the merchant on the validity of the promotion before purchase. This offer expires on 30th April 2019. Discount capped up to RM250. Gab deals on diamonds jewellery. Get the deal.. Please always check with the merchant on the validity of the promotion before purchase. Lazada offers free shipping on Lazada online supermarket official store. The offer is applicable to West Malaysia only.Get the deal to the offer.. Please always check with the merchant on the validity of the promotion before purchase. Lazada offers RM20 off with a minimum purchase of RM250 with CIMB cards. The promotion is available every Monday until 31 January 2017. Enter the promo code at the checkout to get the offer. T&C apply. Please always check with the merchant on the validity of the promotion before purchase. Lazada offers up to 80% off electronic deals on year-end sale. The promotion is available until 31 December 2017. Get the deal to enjoy the offer. T&C apply. Please always check with the merchant on the validity of the promotion before purchase. Lazada offers RM15 OFF with a minimum spend of RM180 every Wednesday with your Maybank Cards. This offer runs from 19 September to 26 December 2018. Valid on Lazada’s mobile app only.. Payment must be made with a Mastercard® or Visa Card issued by Maybank/ Maybank Islamic Malaysia, Singapore, Indonesia, Philippines, Cambodia, and Brunei. Cardmembers must sign up for/ login to a Lazada account to apply the voucher code. Voucher Code is applicable to the first 1,000 redemptions per Wednesday. Product exclusion may apply and delivery is within Malaysia only. Offer cannot be exchanged for cash or used in conjunction/ combination with other voucher codes and 0% EzyPay Instalment Plan. Enter the promo code at the checkout to enjoy the offer. Get the deal.. Please always check with the merchant on the validity of the promotion before purchase. Lazada offers RM18 off with a minimum spend of RM120 on The Lazada 12.12 Grand Year End Sale. Valid for the first 3,000 redemptions via Lazada App. This offer begins from 10-12th December 2018. Enter the promo code at the checkout to enjoy the offer. Get the deal.. Please always check with the merchant on the validity of the promotion before purchase. Lazada offers 10% off on purchase of desktop using Maybank credit and debit cards via App. This promotion is valid until 30 June 2018. Get the deal.. Please always check with the merchant on the validity of the promotion before purchase. Lazada is well-known among Malaysians for providing efficient deliveries of household necessities. The endless traffic jams in the city make it difficult to go shopping on a daily basis, and I’m sure most of us would rather stay in the comfort of our air-conditioned room and have our ordered items delivered to us - or I’m sure I would! Lazada is well-established in both Malaysia and Singapore, so you can be sure of their reliability. They have a whole range of products available, and their current BEST SELLERS include brand new, authentic Nike shoes, earphones, the Mi Band 2 fitness tracker, and Carlo Rino bags. Cardable has some Lazada coupons and voucher codes that will help you save on your purchases. If you’re looking at their website and feeling a little lost because of the wide range of products that are available, check out their ‘Collections’ section. The awesome Lazada Malaysia team has already hand-picked out some premium items for different collections to suit your needs! For example, ‘Festive Travel’ includes products like luggage organisers, luggages, and small lotion bottles for use on the plane. But now that the festive season is over, you might want to check out the ‘Shoulder Bags for Women’ collection instead. The large range of bags in this collection look perfect for a back-to-work treat! Not only do they have collections picked out, Lazada Malaysia also has amazing flash sales every day. I don’t know about you, but that clock counting down till the end of the flash sale makes me want to buy EVERYTHING on the website. The flash sales go up to 78% off the original price. I spotted a Pineng PN-304 2-in-1 Speed and Data Charging Cable in the shade of blue for just RM10.90. The original price is RM49, which makes this a real steal. With a charging cable that works for both Apple and Samsung phones, ALL your friends will love you for saving their phone battery when its on the brink of death. Other than small items, Lazada Malaysia also carries household necessities, like ceiling fans. I don’t know how they’re able to get that delivered, but yup, you heard me right. The Panasonic F-M14D5 Wt Bayu5 Ceiling Fan is on a 36% discount, from RM387 to RM249. Perfect for new homeowners looking to furbish their apartment or flat on a budget. If nothing here piques your interest, don’t fret, because the flash deals change every single day. Just check back and I’m sure one of their products will catch your eye soon enough. Taobao is a gem of a website for us, and I definitely wouldn’t want to pass on getting the items I need for cheap. So I heaved a sigh of relief when I saw that Lazada Malaysia has a Taobao collection. (Yes, everything is in English for easy understanding). Millions of top-selling Taobao products are featured here, and you don’t have to navigate around the Chinese website while using Google translate at the same time! What’s even better is that you get FREE delivery when you order over RM80. Lazada Malaysia already has a ‘Under RM9.90’ collection for all you shopaholics on a budget out there. I’ve already calculated for you. If you want to hit an order above RM80 for free delivery, you can get up to 8 items from this category! 8 new dresses… A girl can dream. Something that I always worry about while buying items online is whether they will actually arrive at my doorstep. After all, no one can predict whether their parcel will get lost in the mail, delivered to another unit, etc. So something great about Lazada Malaysia is that they provide 24/7 tracking services for all parcels that have been ordered. This useful feature means that you can track your order online at any time you want! And the best part is, you don’t have to send a million emails to different people, trying to find out the whereabouts of your parcel. All you need to do is head down to www.lazada.com.my/order-tracking, and enter your order number and email address. Just hit ‘Check now’ to process the tracking and presto! You’ll know exactly where your parcel is in transit. Another common concern that plagues us when we do our shopping online, is whether the website that we order through stores our credit card information. That would be disastrous. Thankfully, Lazada Malaysia has a COD (Cash on Delivery) policy, nationwide. With this service, customers don’t need to key in private credit card information online. You can just pay in cash to the delivery agent upon the receipt of your order. Not only do you have the security of paying in cash when the item arrives - you don’t even have to create a Lazada account to purchase items! Of course, I would not recommend this. This is because certain special deals and discounts are only applicable for existing members. Besides, creating an account with Lazada Malaysia only takes two minutes. I hope you have a clearer idea of what Lazada Malaysia does now! If you have any other questions, Lazada Malaysia’s site has an extensive FAQ section. Can’t find what you’re looking for or you need extra help? They even have a LIVE chat service that can be found online on their ‘Customer Care’ tab at the top of the page. The live chat service helps customers like us get our problems or concerns resolved immediately, so we can continue shopping in peace. Do note that the online live chat is only available from Monday to Friday, 9am to 9pm though! Cardable has lots of Lazada vouchers and voucher codes to be used for your purchases on Lazada Malaysia’s site, so do check back above for any codes that may help you save some money. Happy shopping!